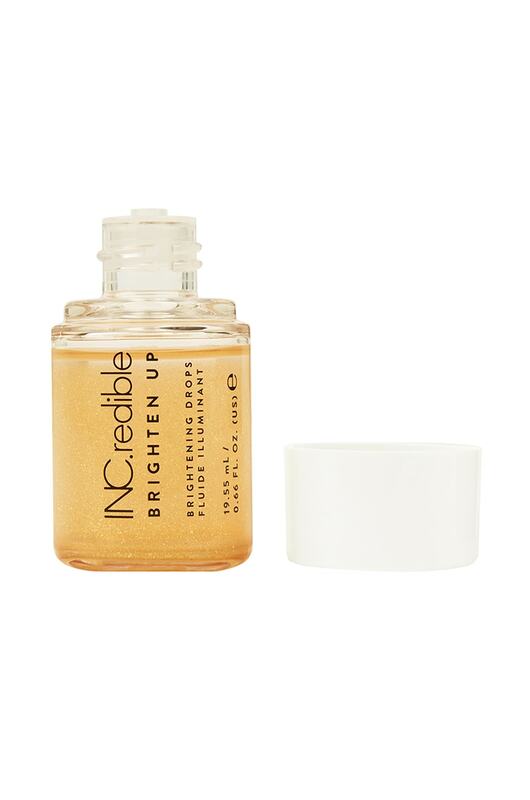 Glisten and glow like never before with INC.redible Brighten Up Brightening Drops. The micro-pigmented, oil-based formula works as a hydrating veil that preps skin and lips for the perfect makeup look. Its lightweight, non-greasy formula helps boost collagen and elastin in the skin, as well as helping to repair oxidative stress and damage caused by free radicals and UV stress. 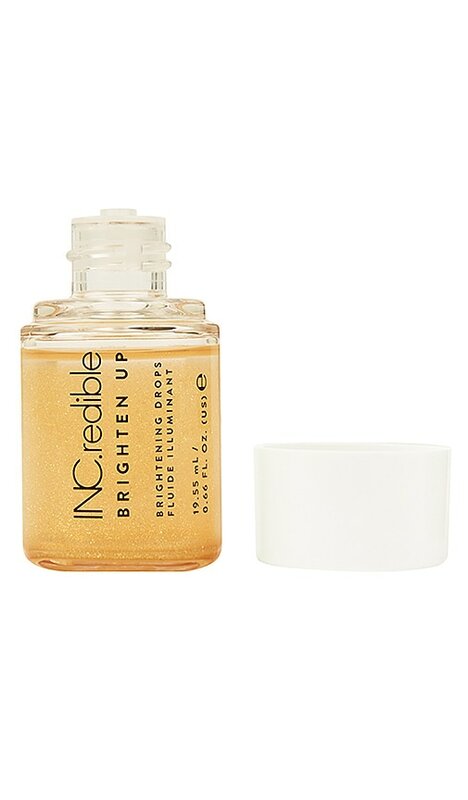 The concentrated illuminating pigments catch the light to give the skin a dewy, youthful glow. Isohexadecane, Caprylic/Capric Triglyceride, Hydrogenated Polyisobutene, Mica, Caprylyl Methicone, Pentaerythrityl Tetraisostearate, Phenoxyethanol, Caprylyl Glycol, Synthetic Fluorphlogopite, Paraffinum Liquidum, Disteardimonium Hectorite , Propylene Carbonate , Tin Oxide, Palmitoyl Tripeptide-1, Palmitoyl Hexapeptide-12, Palmitoyl Tetrapeptide-7.+/-: Ci 77891, Ci 77491, Ci 15850.